With ransomware infections, making news headlines at an alarming rate, secure backups are an organization’s primary tool against ransomware infection. Organizations need to be able to maintain business continuity by being able to reconstruct or restore data as quickly as possible. This includes business-critical data that exists in the public cloud. Even though public cloud vendors provide impressive redundancy and uptime ratings, data copied to the public cloud is the customer’s responsibility. Having the means to effectively backup and protect business-critical data, housed in the public cloud, ensures the business continuity. This is a crucial part of an organization’s overall security strategy. Spinbackup provides unlimited on-demand as well as automated daily backups of public cloud data. 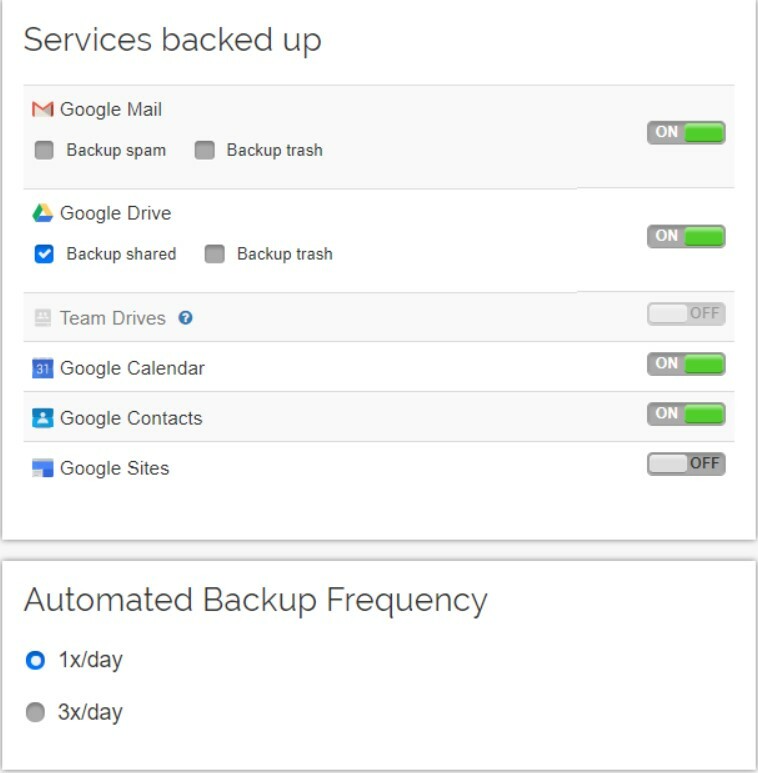 The automated daily backup can be configured to run either 1x or 3x daily. These can be scheduled based on the time that is convenient for organizations and their data use patterns. 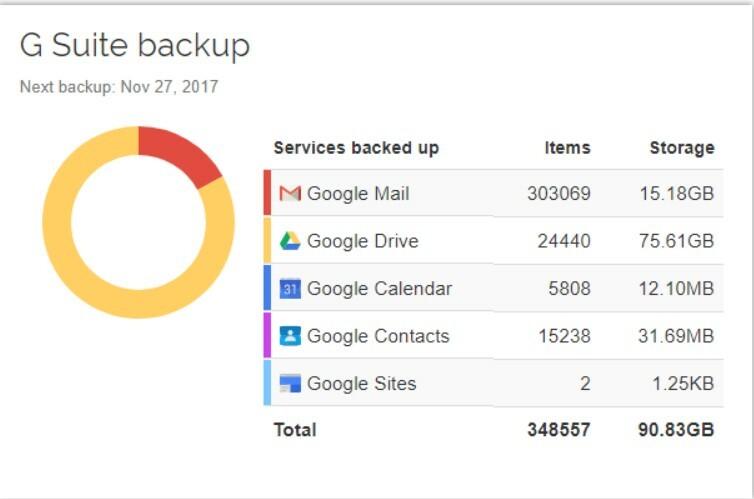 Data can be protected in whole or selectively by choosing folders or data based on labels, defined for G Suite services. This includes Google Team Drives, Google Gmail, Google Drive, Google Contacts, Google Sites, and Google Calendar. Spinbackup provides powerful cloud-to-cloud backups, that are encrypted in-flight and at-rest, which guarantees the security of backups. Spinbackup automated backups are also extremely efficient. After the first full backup, data is backed up incrementally, ensuring efficient, quick, and reliable backups. The overall security strategy of today’s always-on, modern businesses must include backups of essential, business-critical data. With organizations today increasingly shifting data storage to the public cloud, today’s backup strategies must include protecting cloud-centric data. While public cloud vendors provide the tools and infrastructure, necessary for redundancy and agility, that help organizations to meet today’s technology demands, the data stored with public cloud vendors must be protected. Spinbackup’s powerful data protection solution for public cloud data empowers organizations to protect all aspects of business-critical public cloud data effectively, securely, and efficiently.